The Translational Health Science and Technology Institute (THSTI), in collaboration with University of Bergen, Norway and Tribhuvan University, Nepal, will participate in the multi-country, multi-site study. Severe infections contribute to a large number of neonatal and young infant deaths in the country. After a study conducted six years ago showed that administering zinc reduced treatment failure by 40 per cent in infants younger than 120 days who present with probable serious bacterial infection, a clutch of institutions have initiated another study to investigate effect of zinc on infants between 3 to 59 days of age with severe infection. The Translational Health Science and Technology Institute (THSTI), in collaboration with University of Bergen, Norway and Tribhuvan University, Nepal, will participate in the multi-country, multi-site study. The study, coordinated by THSTI, was initiated in February 2017 in India and in July 2017 in Nepal, and proposes to enrol 4,200 infants with clinical sepsis. It is being undertaken in seven hospitals in Delhi and Kathmandu. “Our previous study showed significant effects of zinc in reducing risk of treatment failure… our current study in question is whether adjunct treatment with zinc will reduce risk of death in infants with clinical severe infection,” said Prof Shinjini Bhatnagar, principal investigator and dean, clinical research, THSTI. The study is expected to be completed next year. Zinc is known to help modulate the immune system. According to experts, if the study results are positive, this intervention will prove to be low-cost and widely available. According to a previous study by the Translational Health Science and Technology Institute, published in Lancet in 2012, a dose of zinc helps recovery of newborns suffering from bacterial infections such as pneumonia and meningitis. Every year, around 50,000 newborn children die due to sepsis as many antibiotics fail to treat bacterial infection. Severe infections contribute to a large number of neonatal and young infant deaths in the country. “Zinc is already a part of the National Diarrhoea Control Programme. With this study, we are moving one step ahead in discovering another benefit of zinc,” said Dr Siddharth Ramji, principal investigator,MAMC. “The infant, once enrolled, is administered either zinc or placebo for 14 days with the standard treatment. The infant is followed up every 6 hours for signs of recovery or treatment failure. 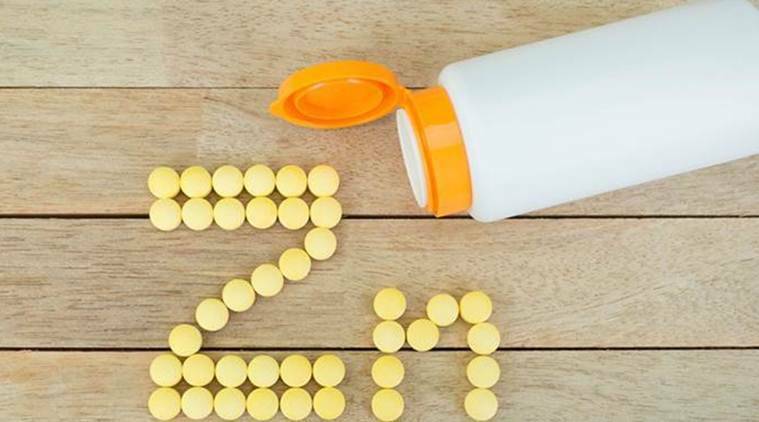 After discharge, the infant continues to be followed up for 12 weeks to measure effects of zinc on 12-week morbidity and mortality,” said Dr Nitya Wadhwa, assistant professor at THSTI and the principal investigator and coordinator of the study.